Moving tributes from sons, Matthew and Jonathan were heard by the packed congregation at the small church of St Marys in the West Dorset village of Stratton. Some proud consolation for mum Gill. 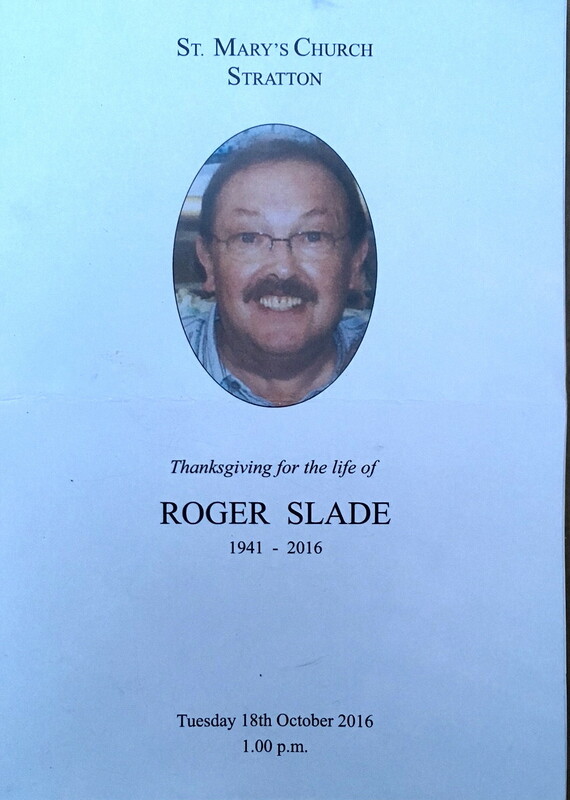 Roger Slades full life was celebrated, jazz musician,cars, photography, cycling,model railways,gourmet, raconteur & wine expert! We all said our goodbyes, tears & laughter and afterwards, at the Village hall all were made very welcome, Roger Slade touched many peoples lives. 1941-2016. "Spent many a happy Saturday afternoon in that little shop.... A font of fun and knowledge... and a passion for anything cycling. A sad loss"
Very sad to report the passing of Roger Slade on 3rd October 2016. 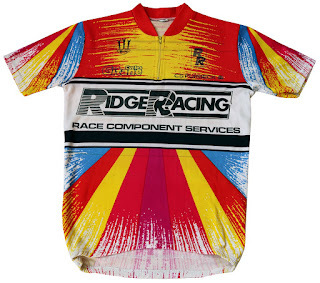 Roger opened Ridge Racing in Bournemouth in the mid 1980s, the cycling shop, stocked with the latest equipment quickly becoming the place to buy, chat and hang out. 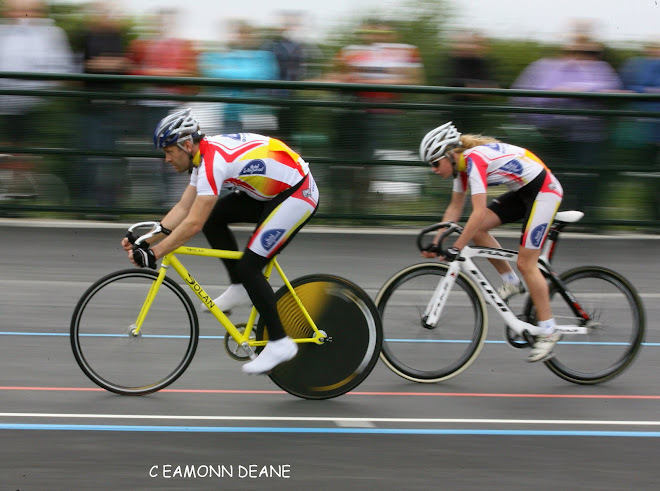 "I wrote a letter to dear Roger in 1987 asking him to support me, i was a fledgling triathlete, just finding my feet, a member of Bournemouth Jubilee Wheelers but not yet a cyclist. 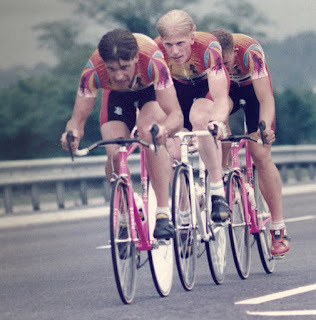 Without hesitation Roger said yes, (he liked the fact i had bothered to write a letter), Ridge Racing sponsored me for 5 years, providing bikes in horrendous shades of pink without question. Roger was a cyclist at heart but was happy to humour a "green" triathlete who knew little about "proper" cycling. I get it now Rog!" Roger Slade finally lost his battle with illness and died on 3rd October at home with his wife Gill, boys Jon, Matt and the dogs beside him which is what he wanted. of support - for which he was incredible grateful for. Andy Storey "I first encountered Roger through one of his riders: Chaz Chasemore. I can vividly remember seeing Chas at Poole Track League warming up on a stunning, shocking neon pink track bike with such a fluid pedalling style. I thought he looked pretty cool and sought out "Ridge Racing" a few weeks later on a training ride. I'm sure I wasn't the first kid to press their nose up against the window on a Sunday looking at some of those gleaming, exotic bikes that it used to stock. I rode for CS Purbeck for a few years, and it was during those winter rides that Roger organised that I understood why the likes of Dave Rand, Chas, et al would beat me so easily - I simply wasn't training hard enough! So they were a massive help, as was the advice I gleaned from Mark Lewis every week. 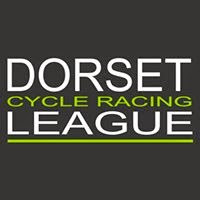 Just little things like riding without your hands on the bars,repairing punctures out in deepest Dorset, being able to put on a gilet/race cap whilst riding along accompanied by Roger's infamous team car awash with sponsor logos and roof racks. 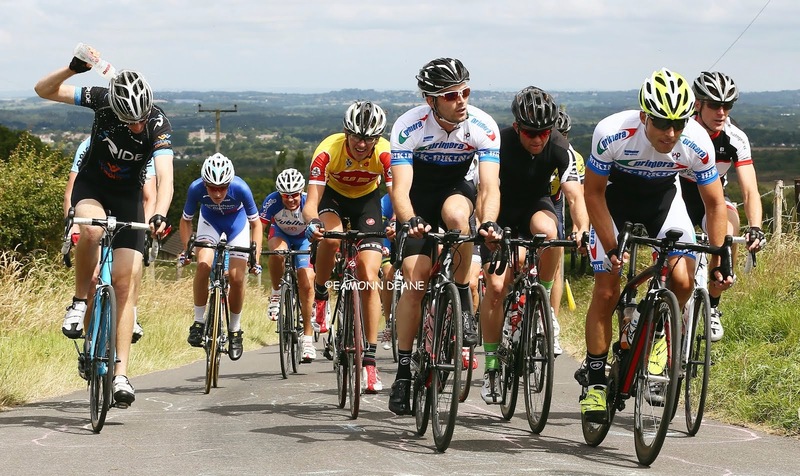 The Junior Purbeck GP was a race that I managed to complete which is still on of my proudest feast on the bike. I still have no recollection of the route, but I remember finishing in Wareham to much delight. A lot of races afterwards seemed pretty easy in comparison!" Glen Pickford "I first met Roger in 1989 at his shop Ridge Racing in Bournemouth. Having just moved south from Lancashire in 1988, he was surprise to see a cyclist walk into his shop in the infamous Manchester Wheelers, Austin - Trumanns Steel Kit of my then team mates Chris Boardman, Paul Curran and the likes. After some conversation, he persuaded me to join his Bournemouth Olympic Ridge Racing project. That year I delivered some good wins for the team including the Shimano Grand Prix in Surrey which resulted in my first call up to the GB squad, which resulted in the Ridge Racing name on the side of my shorts getting exposure on Belgium and French TV. However one of the most enjoyable personal results was with two of my Ridge Racing team mates Mark Foden and Adrian Scofield when we blitzed round the Poole Wheelers 25 mile 3up TTT in 49 minutes, just after a massive thunder storm.. This gave Roger the opportunity to take the zip out of Alan Strong, it was one of the most perfect team rides I have had, well almost, next to the Poole Wheelers Vets two up later that year partnering a certain Mr M Tarrant, when we did it on road bikes, spoked road wheels and cotton caps turned backwards, finishing second by just a few seconds, giving Roger the chance again to take the rip out of Alan Strong who was full aero'ed and disc wheeled. Happy banter between those two. Roger was a massive cycling fan and was so willing and enthusiastic to support riders in the sport, he often butted heads with BCF members to improve the sport. So enthusiastic and of his teams and I am extremely grateful to all the support he gave me. It's a sad loss but fondly remembered." Roger Slade - 'a legend'. Back in the early 80's a bunch of Royal Marines decided to get into the sport of triathlon. We could run quite well, swim powerfully but had no clue about cycling, and so Roger came to our rescue with advice, kit and most importantly enthusiasm. At our first championships held in Poole Roger insisted on conducting full safety checks on all the bikes which resulted in one being taken to the welding workshop to get sorted. Richard "Barney" Storey "The first time I met Roger was at the local 10 mile time trial (Barney aged 11) when he turned up with his team to ride. It was the first time I'd really seen a team first hand and loved seeing Roger interact with the riders. My first glimpse of what I would be doing 25 years later! As a family we got closer with Roger as myself and Andy were racing through the age groups. We helped Roger with his brilliantly run races, we became members of his team. If anyone gets a chance, look at the winners of Rogers Junior Purbeck GP, most going on to be very good professional road riders. He was generous with his support of riders and always wanting to help. Even at this stage Women's racing didn't have high numbers, but he still supported the now Raleigh DS Cherie Pridham. 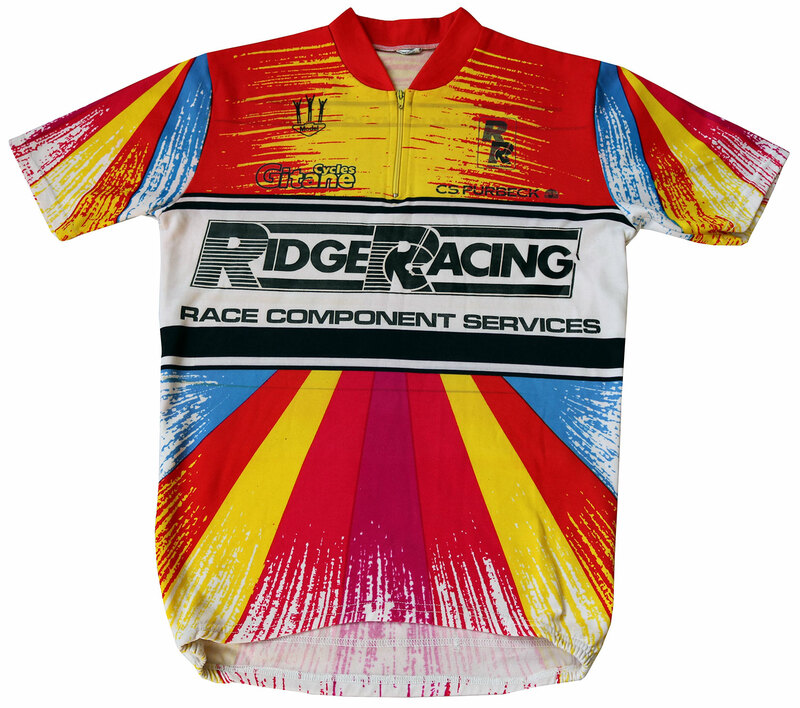 I was incredibly proud to work (like so many) at Ridge Racing. I Stayed working with Roger at Ridge Racing, then moving to his new unit at Wareham, where he finally moved away from the bike industry. As a teenager, working with Roger and in his bike shop taught me so much, but also being taught everything about bike racing was fantastic and set me up for my role now of team DS. I was incredibly sad to hear of Roger's passing. It was very nice to be able to make contact with him in the last few weeks. Not to say goodbye, just to thank him for all he did to help a very young Barney Storey on his path to a cycling career and continued involvement in the industry." Jonathan Wiggins "RIP Rog, so many massive memories and always so passionate about cycling. I remember this club runs well travelling down from Frome and staying with your family. CS Purbeck Ridge Racing was a fantastic club we all learnt so much. You took me racing in France and Belgium for the first time in your citroen flying along because we were late for our boat to Cherbourg. Then we had an accident and wrote the car off in Belgium and had to hire another citroen, which was too small to fit the roof-rack, had to alter everything and make it in time on the boat. So many memories and a true gem of a man that many of us owe so much admiration and respect to. Sure you would be proud that I still live in Belgium and in the racing scene. Thanks Rog"
Anon "Spent many a happy Saturday afternoon in that little shop.... A font of fun and knowledge... and a passion for anything cycling. A sad loss"
Whiteway Hill Climb, Keightley Clear in Purbecks!